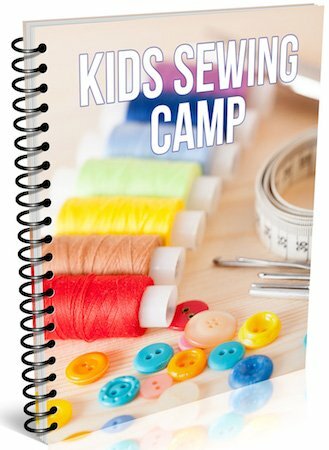 These kids sewing camp ebooks are designed for teaching a multi-week themed learning to sew curriculum. We currently have two Camp Ebooks available as well as felt patterns for hand sewing. Each of these have step by step directions with photos. Learn How to Sew with our Themed Kids Camps! This ebook is filled with 30 projects to decorate or use in your home, bedroom, kitchen, bathrooms and more. 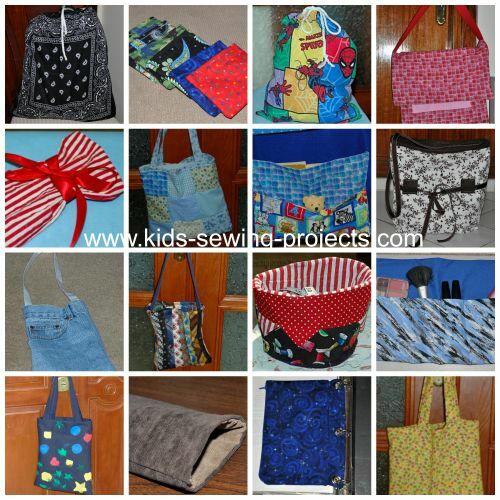 Please Note: You will find some of these camp projects in our Kids Sewing Curriculum Ebook as well. 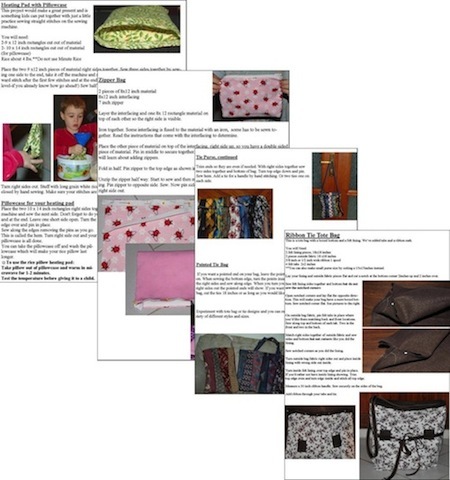 This ebook is filled with 30 plus projects for learning to sew bags including gift bags, drawstring bags, purses, tote bags, gift pouches, binder pouches, make-up bags, and more. 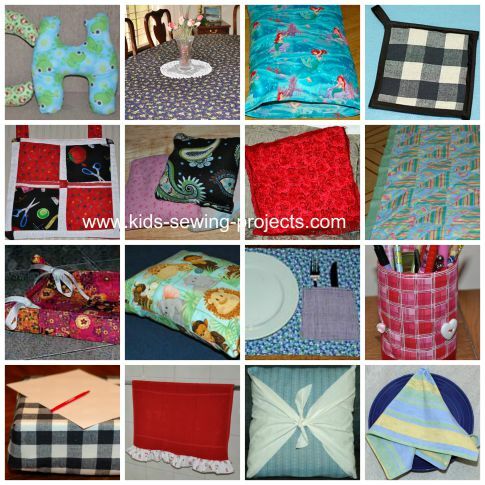 Please Note: You will find all of these camp projects in our Kids Sewing Curriculum Ebook as well. Hand sewing patterns for kids in fun designs, shapes and animal themes. These are perfect for beginning sewing projects, sewing camps, after school clubs and more. We have teamed up with Cindy G. from www.crochet-basics.com to sell these fun hand sewing patterns. She has designed each pattern with step by step directions and patterns for you to print off, cut out, trace on felt and hand sew your project. Each pattern has an easy to hard sewing level. One star is the easiest. Five stars is the hardest level. I just wanted to say thank you. I am a home schooling mom and my kids and I and a friend are going to start learning to sew. I have taken classes before but do not consider myself a seamstress. I am very thankful for your step by step guidance. Immediately after your purchase, you can download your e-Book and start learning and sewing with the kids within minutes. This e-Book is in the Adobe PDF file format. 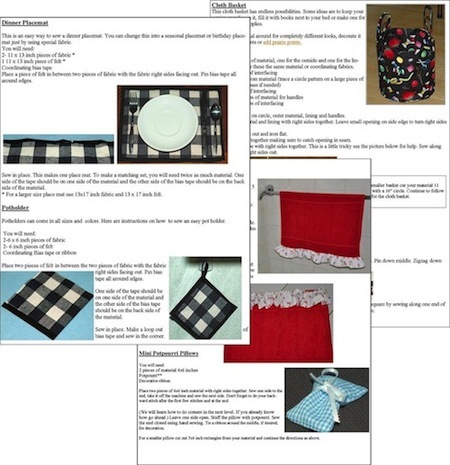 You will need Adobe Reader to read this Kids Sewing Projects Curriculum Ebook. You can get it here. Adobe Reader. Please Note: Once you buy the ebooks and your payment is processed you will be directed to a page with a download link. You will also automatically be sent an email with the download link. If you have any problems once you buy the ebook or you don't receive the email, check your junk email folder. Any other problems, please contact me directly.